On Saturday at 8 a.m. with 26°F cold weather, I met up with Michael “Hutch” Hutchinson and Marv Eash at our church in Matthews, North Carolina. 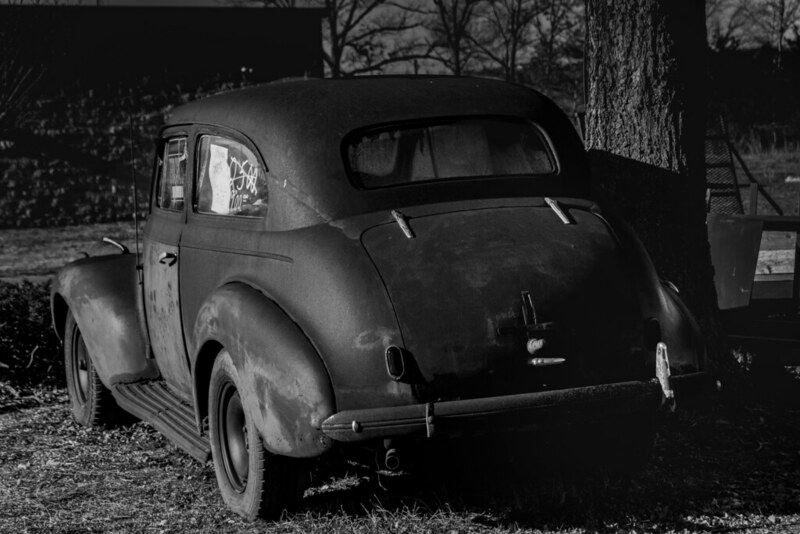 We drove together down to Pickens, S.C., as our destination choice for the day and found one old 1940s Chevy car and were entertained by an older man who sold used goods and antiques. He had all the makings of a good storyteller and local historian. I had checked my settings on my Sony a6000 but when I returned home I discovered all my photos were white (over exposed) or beyond recoverable. Hutch with his Nikon D7100 and Marv with his Olympus E-PL3 using a 14-42 zoom kit lens took more pictures of the Chevy. We decided to drive over to Brevard, N.C., because this little town had slim pickings for our photography interests. By the time we reached Brevard we were all hankering for a meal. I pulled up a list of restaurants and Marv decided for all of us that the fish camp was the best. Pisgah Fish Camp, we tasted and saw that they had the best food. It was really delicious! We knew it was a good location because not more than thirty minutes had passed when the place was bustling with locals and elderly. I had a grilled tuna and a few sides. Checked out the bluegrass event at the high school but the tickets were $15 each instead of an optional “donation” as one couple from out of town told us. It was too much! We drove to the outskirts of town from whence we came and Hutch was more into taking photos of those places. It was a display of rusting sawmill blades and vintage signage. Marv and I sat in the car and from then I drove back 2.5 hours to the church. We stopped in Kings Mountain, N.C., for the restroom and a coffee. I was not tired at all but was thinking too much of the flavor of coffee to not want to stop. Despite not getting any photos on Saturday, I enjoyed my time with Hutch and getting to hang out with Marv for the first time on a photo tour.